Celebrating the Delhi Tourism Day and 30th anniversary of DTTDC, Dr. Sanat Kaul - CMD, Delhi Tourism said that tourism is of topical interest to millions of people worldwide and has a multiplier affect on economy since it helps all other sectors of economy like food, agro industry, textile industry , aviation, service sector, be it carpenters or electricians. With India playing host to the Common Wealth Games 2010, we really have to cash on the opportunity to shine, just Melbourne. There is a need to refurbish tourism sector to make Delhi well equipped to handle an event of such colossal proportions. .It is time for us to rise and join hands to ensure the success of the event, which has such global magnitude. On this occasion he also announced five scholarships for the deserving students of IITTM out of which two were reserved for underprivileged students. Welcoming the august gathering, the Chief Guest Dr. Ashok K. Chauhan - Founder President Ritnand Balved Education Foundation said that over the past few years, Travel & Tourism industry has emerged as one of the major sectors for growth of Indian economy; there has been an exponential growth in the foreign exchange earnings. Besides being an important foreign exchange earner, tourism industry also provides employment to millions of people in India both directly and indirectly (through its linkage with other sectors of the economy.) More and more visitors are pouring in from all over the world: Europe, Africa, Southeast Asia and Australia. . 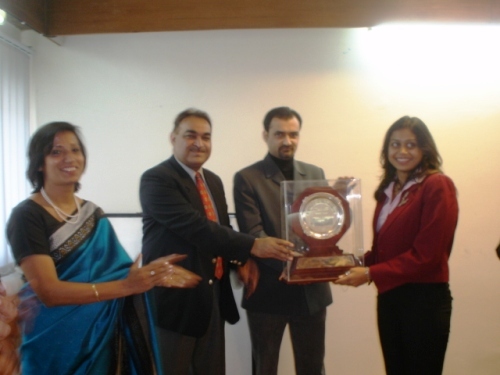 Advising the students on how to climb the ladder of success, Dr. Chauhan said that with this emerging global consciousness, the clarion call for the students is to “become competent, pro-active and responsible” to deliver their best to the tourism industry, which is indeed the backbone of the economy. 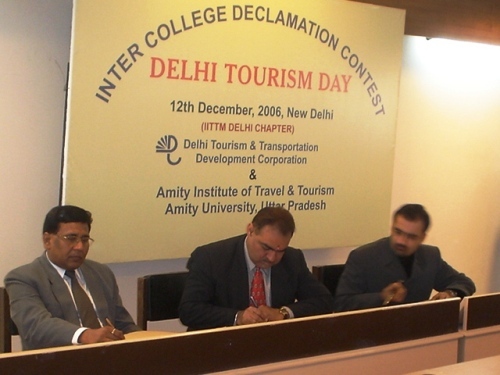 The highlight of the celebration was an Inter College Declamation Contest on the theme: “Tourism in Delhi by 2010: My Vision” wherein a team of two students each from ten colleges of Delhi including IITTM, College of Vocational Studies, Dayal Singh College (Evening), Venkteshwara College, Pearl Academy, Indraprastha College, YWCA, Institute of Hotel Management (PUSA) and Amity Institute of Travel and Tourism participated to earn kudos for their respective institutes. During the Declamation Contest several suggestions were broached by the students to improve the tourism sector for meeting the challenges posed by Common Wealth Games 2010. They suggested that tourism industry can be revamped by creating 24 hour helpline centers for tourists all over the country, partnering with private players to improve airports, railways, road transport, lightening of historical monuments, more economical boarding and lodging packages, additional food and beverage outlets, heightened security and additional baggage handling facilities. . Modules should be developed to train people working in the hospitality industry to deliver exceptional experiences for visitors, be it taxi drivers or guides. They also suggested improving Yamuna river bank and making it suitable for water sports. 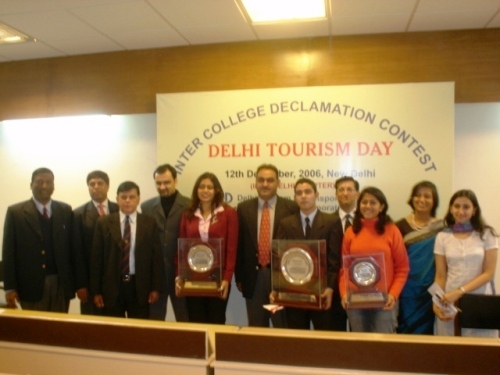 Mr. Manoj Kumar- Convener, Common Wealth Games- Delhi and Mr. Devender Singh - General Manager -Delhi Tourism & Transport Development Corporation Ltd, the eminent panelists, gave away the cash prizes and trophies to the winners of the contest.